At McKenzie Orthodontics, we are pleased to now offer financing options! This way you and your family can get the orthodontic care they need. Dental insurance benefits are used to help our patients cover some or all of the cost associated with their dental care. At McKenzie Orthodontics, we offer the convenience submitting your claim directly to your insurance. At McKenzie Orthodontics, help our patients maximize their dental insurance benefits, and we ask our patients to please bring along a copy of their plan details in order for us to help you get the most out of your dental insurance. We also use this information to provide you with accurate estimates for your treatment. Are you putting off your health and the health of your family till you can afford the treatment cost? Wait no more. 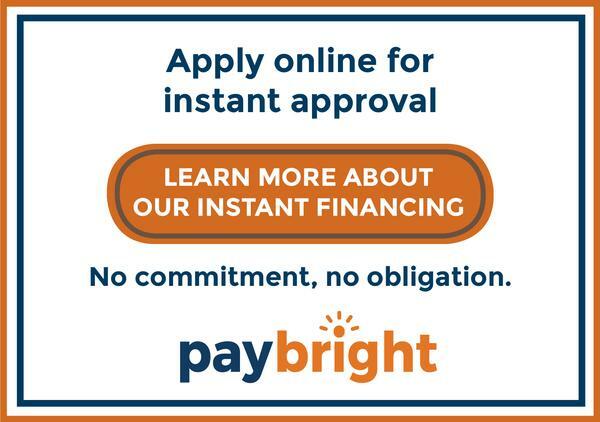 At McKenzie Orthodontics we are pleased to offer you PayBright Financing as an alternative option, that way you do not have to wait to get the procedure you want to be done today! We are happy to provide a complimentary consultation to discuss your dental needs and to determine your financing arrangements. Q] Do you offer a FREE Consultation? A] YES! We offer a complimentary meet & greet appointment so you can get to meet the McKenzie Orthodontics dental team. A] A Pre-Determination provides you the exact cost of the treatment. Upon request, we will submit this information to your insurance provider before completing any treatment. While this may delay your treatment, you will know exactly what [if any] out-of-pocket costs you may be required to pay. A] We bill according to the new fee guide released in January 2019. Every dentist in Alberta is required to set their own fee guide based on their education and training, skill, clinical judgment and experience while taking into account the practice overhead costs. Each Benefit Provider also sets their own fee guide, often having many different fee guides for their different policies. This is why it is difficult for us to give our patients the exact amount which will be their portion outside of what their benefits will pay. Some plans pay below our fee guide; some pay the same fees, and some would pay fees higher than our fee guide. please call us at (403) 262-3696!